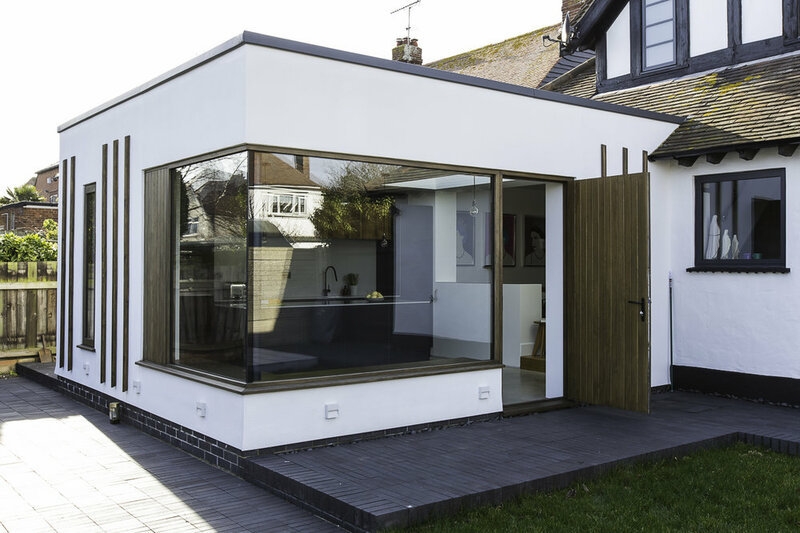 Refurbishment and generous extension of a detached, two-storey 1930's Neo-Tudor property in Palm Bay, Margate. 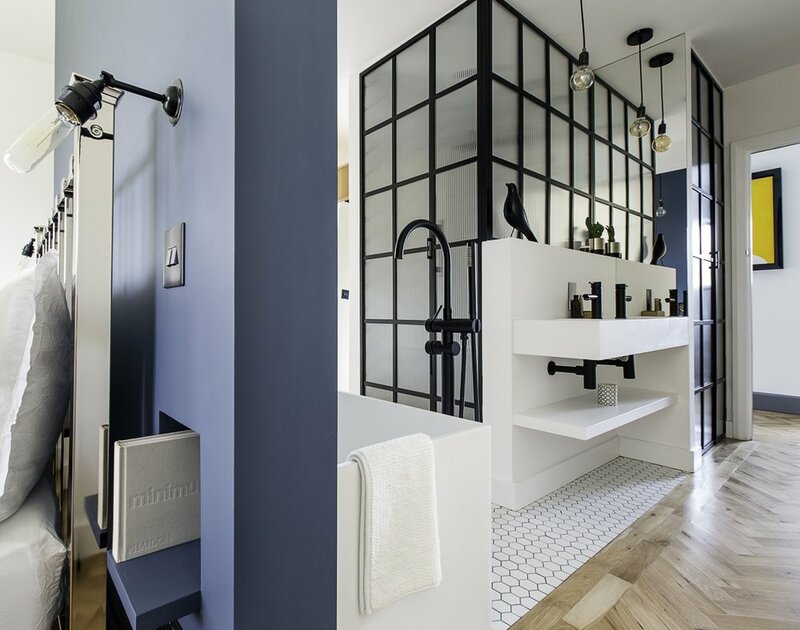 The ground floor layout has been altered to create a new generously proportioned kitchen and dining room, within a new garden extension, an enlarged bedroom with Crittall-enclosed en-suite and a utility space with separate downstairs toilet. 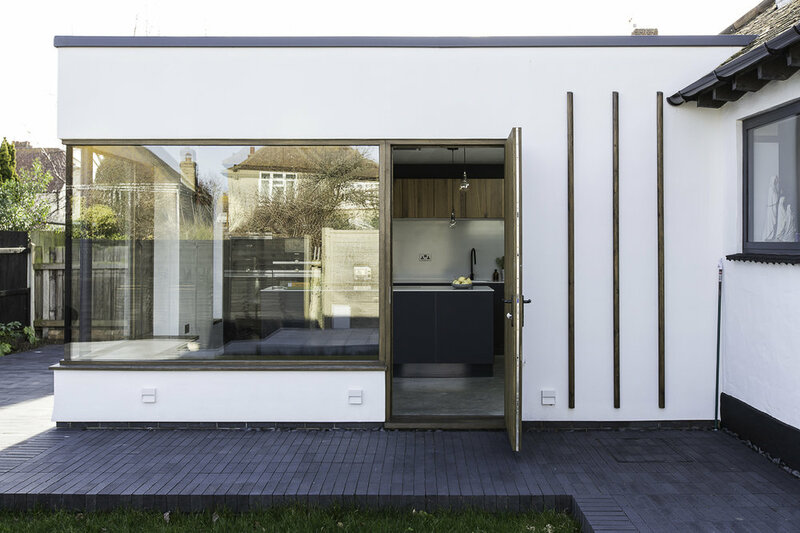 The new kitchen extension forms a contemporary addition to the property, better connected to and orientated towards the rear garden with a fully glazed corner. A large skylight detaches the old from the new interior spaces, while drawing natural light into the depth of the plan,and the expanded floorplan rationalises and enhances the layout of the entire property. 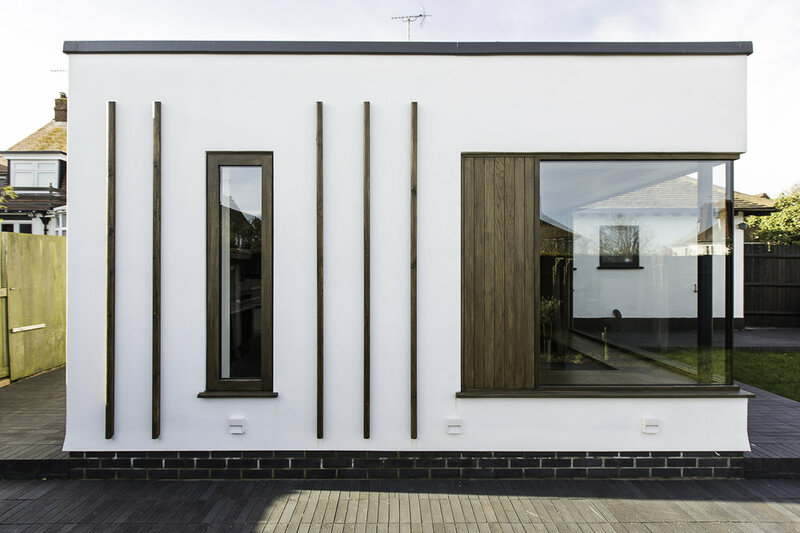 The extension is rendered, consistent with but modernised from the original architecture, with timber rods to encourage planting to the building exterior. The extension was permitted and formalised under the Permitted Development 'Notification for Prior Approval for a Proposed Larger Home Extension' rules. Photography by the talented Jo Bridges.